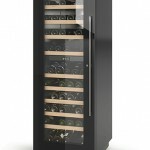 The Dual Temp wine cabinet has two different temperature zones in two independent compartments, for storing and serving white and red wines at the perfect temperature. 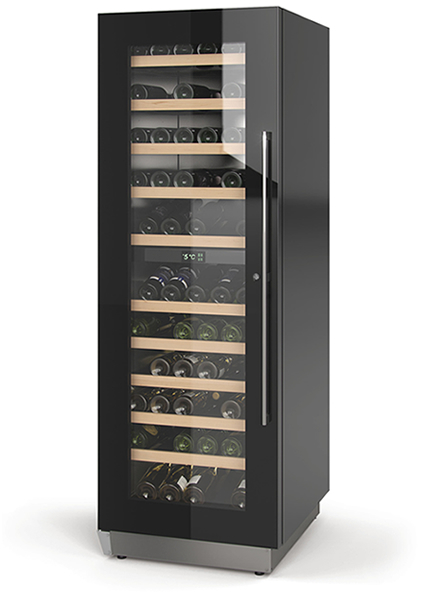 Fan-assisted refrigeration allows to choose the favourite internal temperature set for both compartments.Total Temperature Range: 5º- 18ºC. Double-glazing smoked glass door. LED lighting. 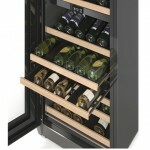 Eleven birch wood-trimmed sliding wine racks. The static condensation system is designed for maximum noise reduction of the refrigeration equipment. 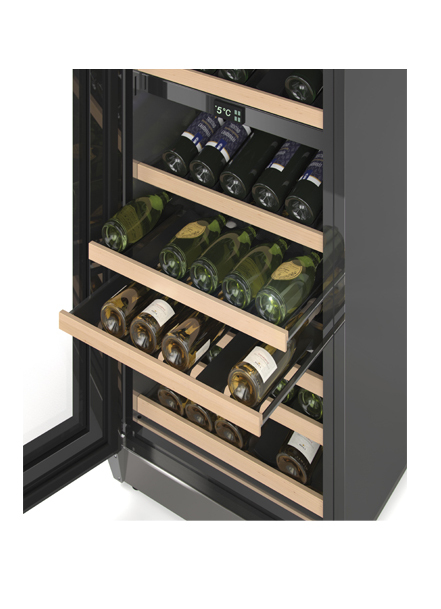 The wood laminate body is available in both semi-glossy black and brushed aluminium grey. Other colour options are available upon request.